My kids have grown accustomed to eating pasta at least once a week. If all the stars align and we are able to have a Sunday Pasta night, it is a great way to start the week together. Since I am Italian, I usually make a red sauce or gravy, but I like to get a little creative as well. The sauces I make are typically healthy and not full of fat. 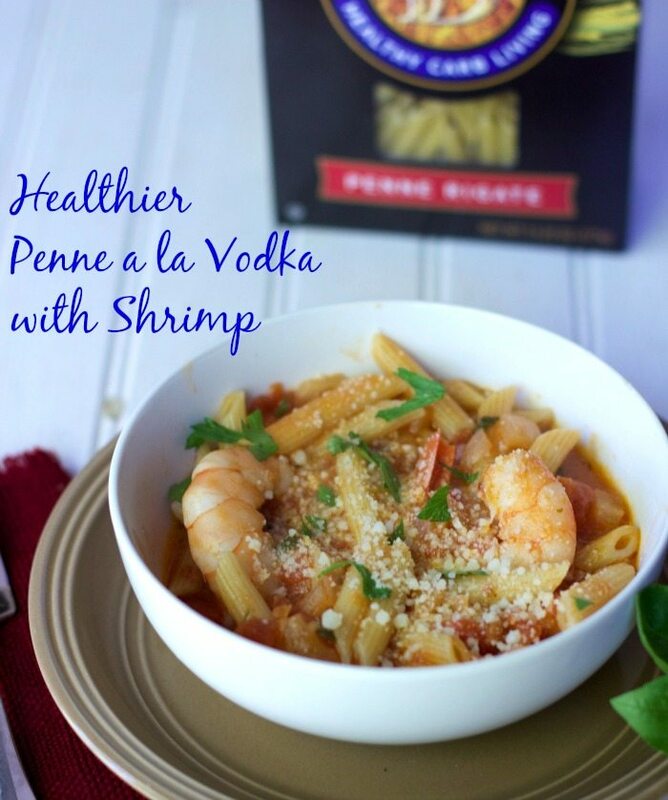 I usually avoid fatty creamy pasta sauces but I decided to create a healthier Penne with Vodka Sauce with a shrimp. Since traditional pasta does not provide much nutrition, I made this an even healthier pasta dish by using Dreamfields Pasta. Dreamfields Pasta has 5 grams of dietary fiber per serving—that’s 2.5 times more than traditional pasta. Dreamfields Pasta also contains prebiotic fiber that helps promote healthy digestion. Most importantly, it tastes as good as traditional pastas and provides healthy carb living. Every good pasta dish begins with a generous amount of sautéed onions and garlic. My family usually comes running when they get a whiff of that familiar smell. The trick is to first cook down the onions and then add the garlic. Too often people add them at the same time and end up with burnt garlic… a great way to ruin a dish. When the onions are translucent, add the can of crushed tomatoes. Buy the best tomatoes you can afford. I usually buy Italian plum and buy in bulk when on sale. Now for the transformation from a typical red sauce to a creamy yet healthy pasta dish: The cream. Well in this case, we are using 2% milk instead of heavy cream. 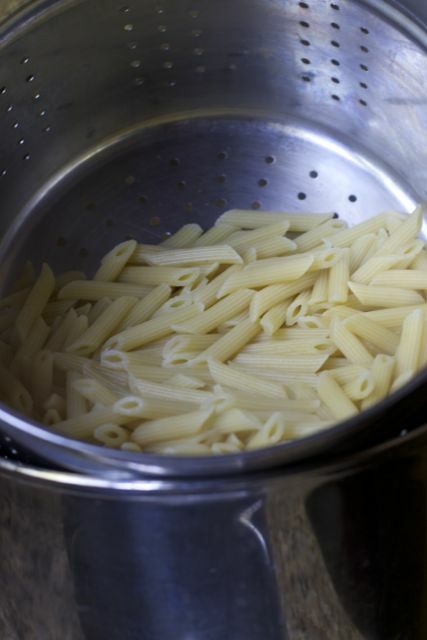 This is a good time to begin cooking your pasta if you plan on eating right away. Dreamfields pasta has several different varieties to choose from, but tonight, we went with the Penne. You don’t want to add your shrimp until you are just about ready to indulge! 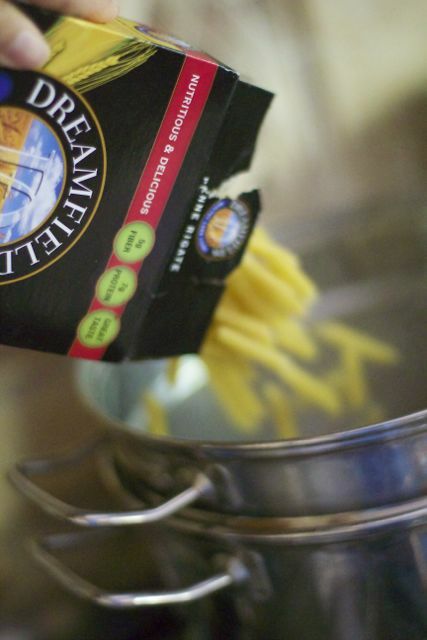 Unlike some “healthier” pastas, Dreamfields’ shape and color resemble traditional varieties. My family would always prejudge the pasta dish if the noodles were dark brown in color. I guess I don’t blame them. 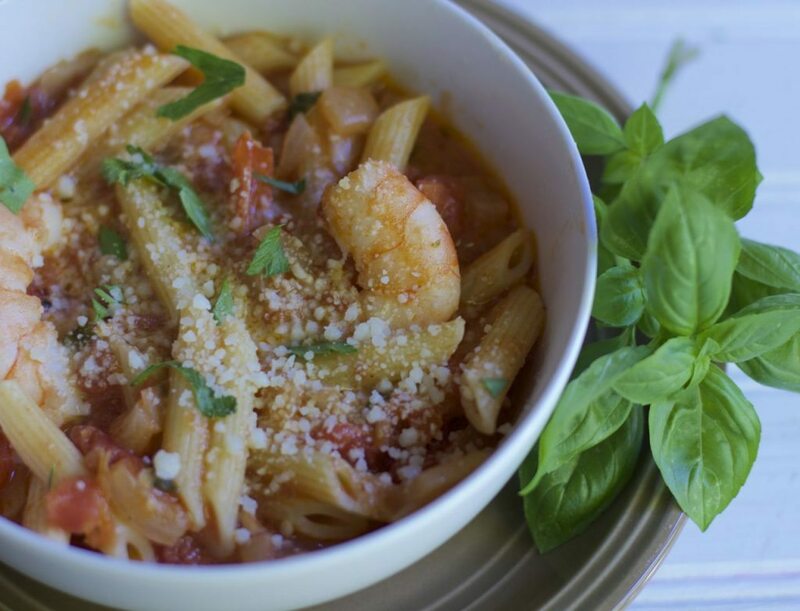 When your pasta is almost fully cooked, you can add your shrimp. 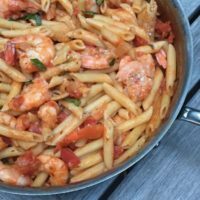 With the addition of the shrimp you are adding more protein making this pasta dish low fat and full of protein. Be sure to cover the pot to steam the shrimp. Then add your pasta and mix it well. Serve with extra basil and grated cheese. Your family will be begging for more! GETTING HUNGRY? ONE CLOSE TO HOME READER WILL WIN a prize of a family pack of Dreamfields + a $25 gift card. Enter Rafflecopter below. Heat oil in large skillet over medium to medium-high heat until hot. Add onion; sauté 5 minutes or until translucent, stirring occasionally. Add garlic; sauté 2 minutes until fragrant, stirring frequently (do not brown). 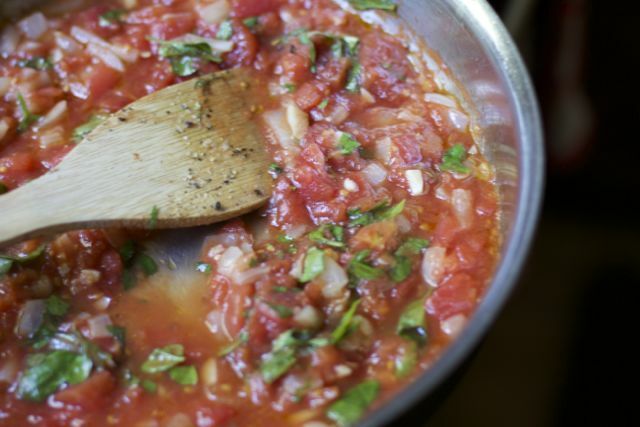 Add tomatoes, basil, oregano, salt, pepper and pepper flakes to skillet. Reduce heat; simmer 10 minutes, stirring occasionally. Add tomato paste to skillet; stir to mix well. Stir in vodka; simmer 10 minutes. 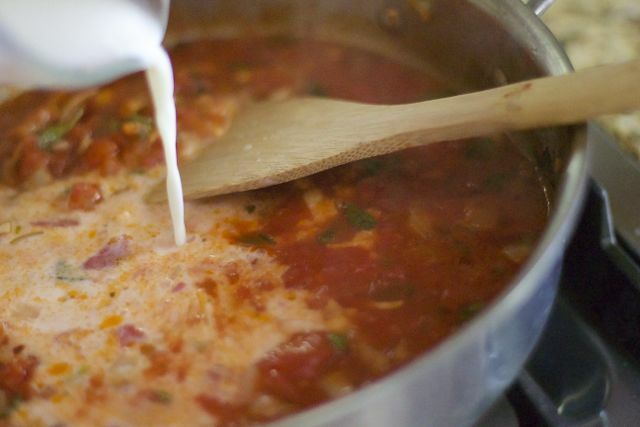 Stir milk into tomato sauce. Reduce heat; simmer 20 to 30 minutes, stirring occasionally. Add shrimp to tomato sauce. Cover; cook 10 minutes or just until opaque, turning shrimp once. Meanwhile, cook pasta according to package directions. Place pasta in large bowl; set aside. Toss shrimp-tomato sauce with pasta. Add 1/8 cup grated cheese; toss to mix well. Sprinkle with additional cheese and basil, as desired. Nutrition information (1/6 of recipe): 400 calories; 25 g protein; 55 g carbohydrates; 7 g total fat; 2 g saturated fat; 130 mg cholesterol; 770 mg sodium; 7 g total dietary fiber. I would love to try the Angel Hair pasta. I’ve never tried Dreamfields lasagna noodles and would like to. I want to try Penne Rigate. I want to try the lasagna to make a nice big batch for a family dinner! I would love to try the rotini! I would like to try the Rotini Pasta! I would like to try the Dreamfield’s Rotini. I want to try the elbows. I would like to try their Lasagna noodles. It can be difficult to find large noodles that actually cook up tender, so I would love to try these out and see how they compare to homemade. I like rotini pasta in several dishes. I want to try the linguine. i think it’s because it holds more sauce. I’d like to try their angel hair pasta in my spaghetti! 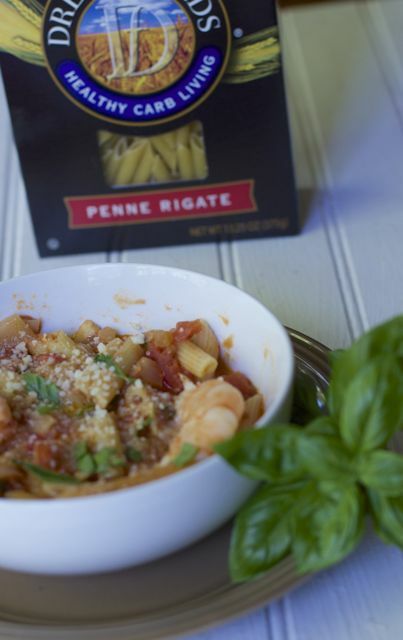 The Pene shape is one of our favorite pastas. I think Penne more than most other pastas. I like the penne. Your recipe sounds delicious. I would love to try their linguine! Oh my families favorite is the Penne Rigate! I would love to try the elbow pasta because I love making pasta salads. Great giveaway for pasta alone.. I would love to try the Dreamfields rotini pasta! I like the Dreamfields Rotini pasta. I want to try the rotini shaped pasta. I would like to try the elbow pasta. I would like to try Dreamfield’s Angel Hair Pasta. I would like to try the penne rigate pasta. I’d like to try the elbows. I would like to try the Penne shape. 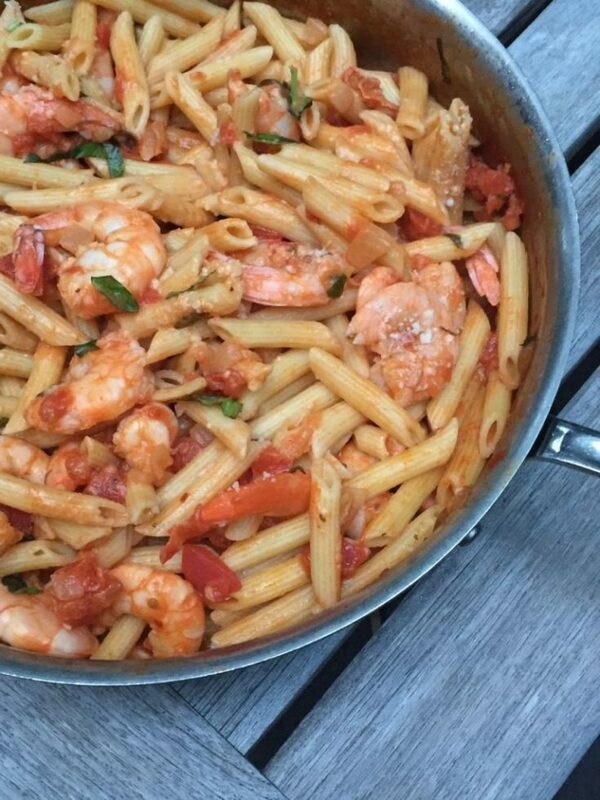 My family loves pasta and shrimp. This would be a great meal for us! I want to try the Lasagna pasta from Dreamfields. I would like to try Dream Fields Rotini pasta with this recipe. Shrimp is super delicious and this would make a great fulfilling meal. I love a good pasta and who can say no to cream (I must use cream not 2% *WINK) and vodka!! The shrimp is an added bonus! I would like to try penne rigate. This looks like such a great company meal. It appears to be really amazing, yet not to difficult to cook! This recipe sounds so yummy. 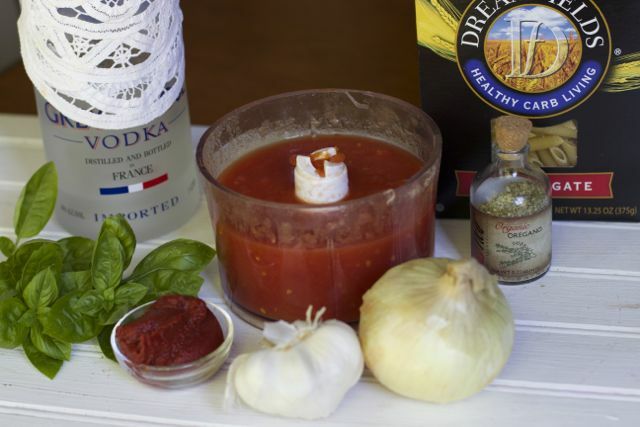 We are a family who really loves shrimp and adding some vodka to the sauce sound really good. I will have to give it a try and look for the brand of pasta you are writing about. I want to try the Penne Rigate. This looks absolutely mouth-watering and easy to make too! I will be trying this soon!